Energy storage. In the alternative energy chain, it's the missing link. Energy storage serves as the buffer between those peak hours when green energy technologies like wind and solar are collecting power, and the valleys when that power needs to be deployed. At Eastman Business Park, a key element of that energy storage ecosystem has just gone online, giving battery innovators a chance to test and validate a vast array of energy storage products prior to manufacturing them. Everything from single cells to huge megawatt systems. 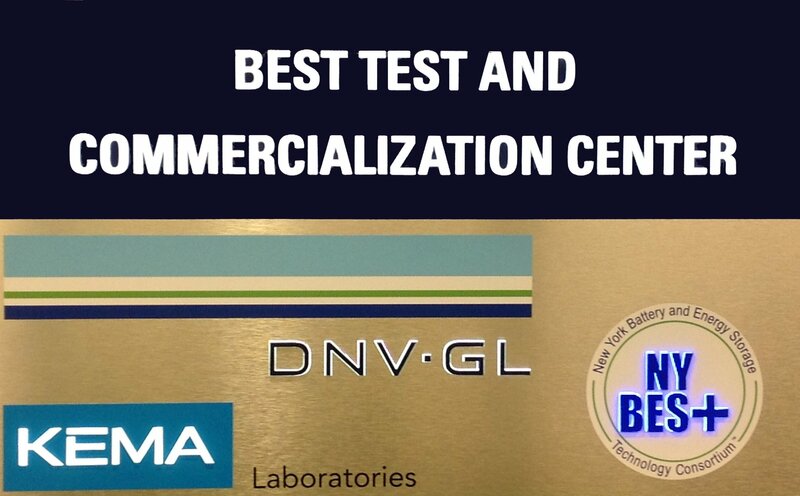 Enter the new BEST Test Battery and Energy Storage Commercialization Center at EBP. Its capabilities were on display recently when a local radio talk show took on the topic. Mike Alt, director of Eastman Business Park, Dr. Bill Acker, executive director of the N.Y. Battery and Energy Storage Technology (NY-BEST) consortium, and alternative energy consultant Matt Fronk were the show's featured guests. Among the subject matter, the three discussed what the new BEST Test Center is, how it's being utilized, and why Rochester, NY is fast-becoming a hub for clean energy innovation. On that final point, Mike Alt said Rochester has three things going for it: the intellectual horsepower needed to invent; a skilled workforce that understands the scale up and manufacturing processes necessary for commercialization; and a physical infrastructure being re-purposed specifically for clean energy innovation. Listen to the May 3 Energy Ecosystem podcast of the show.